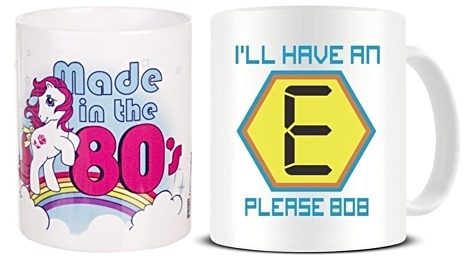 For this post, I thought I'd show you some of my favourite low-cost mugs with an 80s theme. There are many wonderful designs out there on the web, but a great many of them also come with a rather hefty price tag. 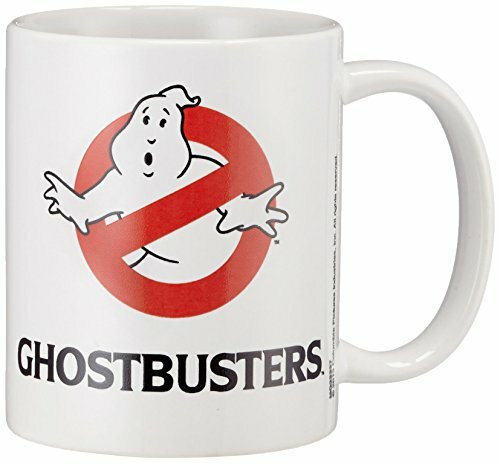 So I thought I'd gather together all the best retro 80s mugs which are available for under £10 - some of these are under £5! 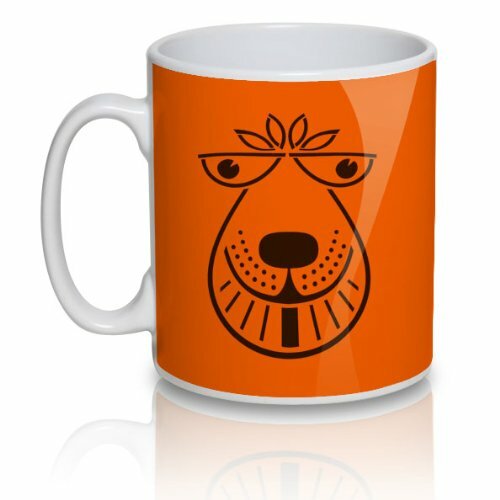 Anyone of a certain age will certainly know what this is all about! 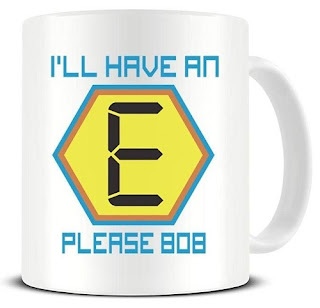 This is the perfect gift for an acid house fan who used to come home from school/work and watch Bob Holness presenting Blockbusters every weekday teatime! Today's games are incredibly realistic with graphics that were the stuff of dreams back in the 80s and 90s. 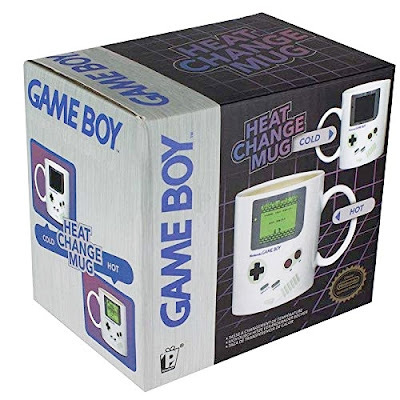 The Game Boy's tiny LCD screen seems primitive now, but the games were incredibly addicitive and enjoyed by a staggering 118 million people worldwide. 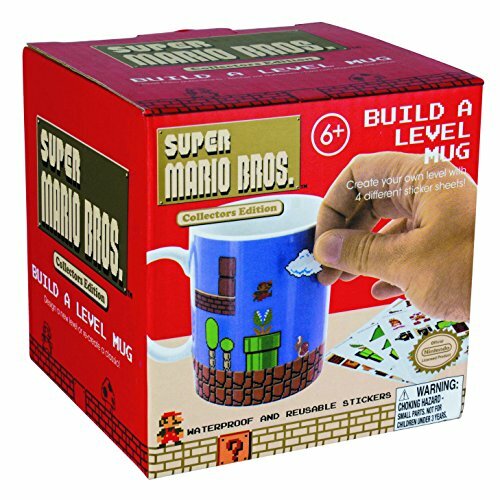 This officially licensed mug is the ideal gift for retro gamers, and the game screen magically appears when you add a hot drink! Who didn't love Rainbow? 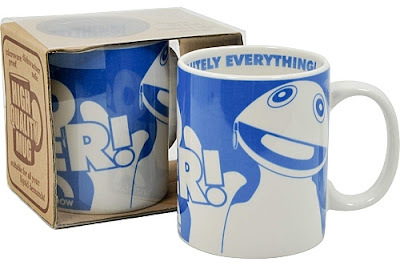 Not only is this mug as cheap as chips, it's also receiving very positive feedback. 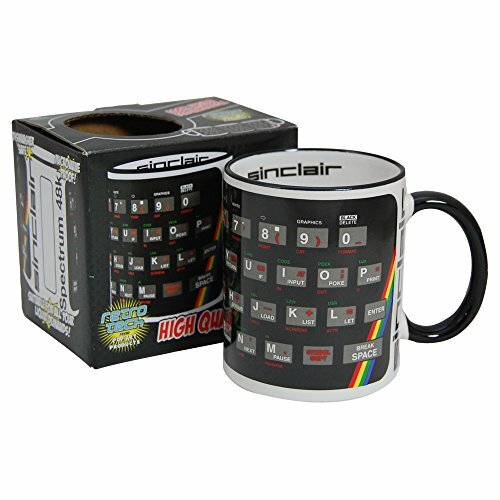 It would make a lovely extra gift for any Rainbow or Zippy fan, and it's dishwasher and microwave proof, thankfully. 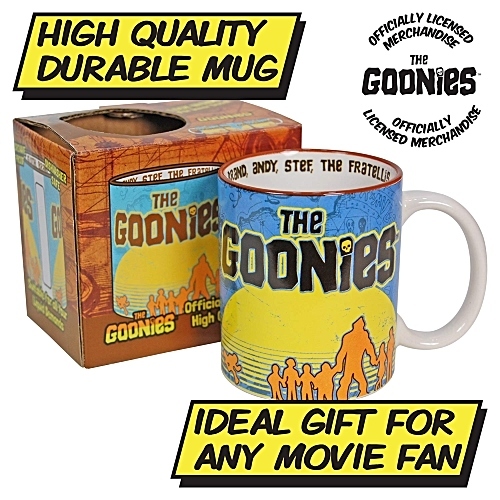 Well, even though I'm now 50, I watched the film again on Netflix recently, and you just can't beat the 80s films for entertainment value - I'm still envious of Chunk taking Sloth home with him at the end! This officially licensed Goonies Mug from Pop Art Products on Amazon is a bargain, and also comes in a gift box. 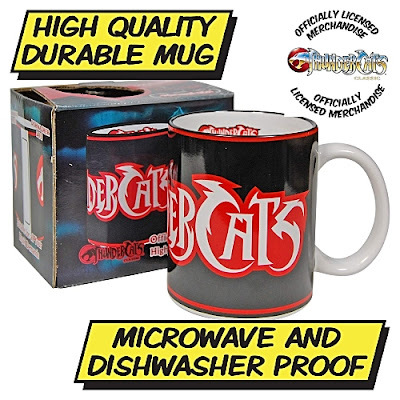 Thundercats was huge back in the 80s, and this gift boxed mug would be ideal for any fan of the cartoon which featured humanoid cat aliens including Lion-O, Cheetara, Tygra, Panthro and Snarf. 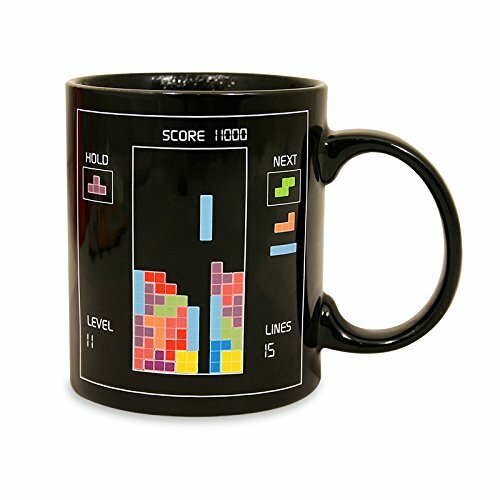 This would make a lovely gift for any child of the 80s. 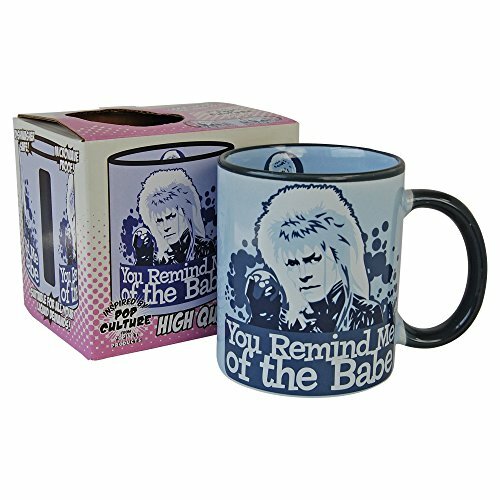 The mug features a selection of iconic toys from the era, including Rainbow Brite, Gloworm, Care Bears and Barbie. 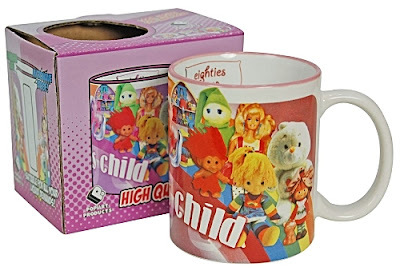 This gorgeous porcelain mug by Gift Republic is licensed by Hasbro and features the original logo and pony characters. 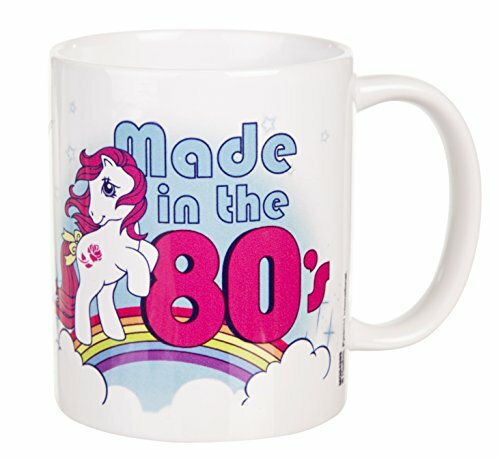 Apparently, a whopping 150 million pony toys were sold in the 1980s! 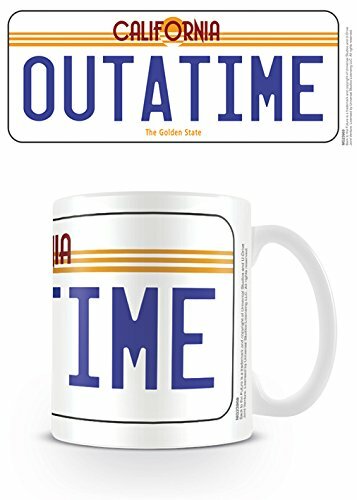 Just why were we all going mad for rainbows in the 80s? 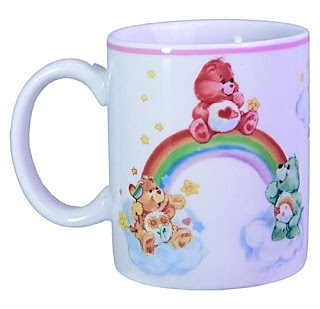 My Little Pony, Rainbow Brite, Care Bears, the list was endless! These adorable teddy bear toys first appeared in 1982, and a TV series and three movies soon followed. 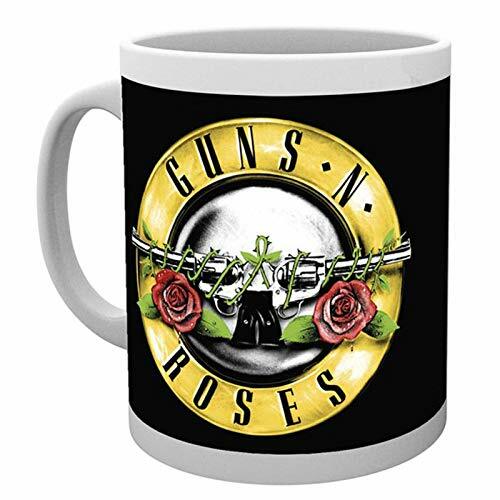 This official ceramic mug would make a cute gift for any fan. 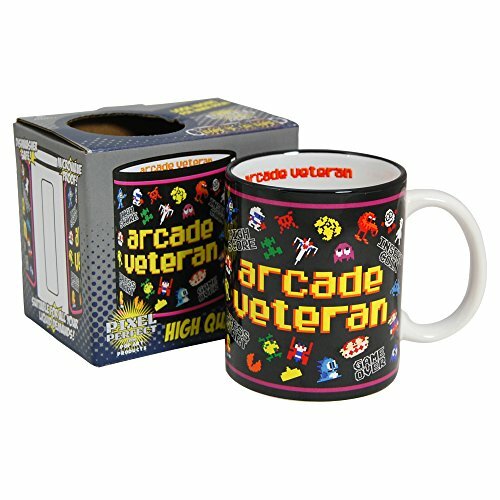 This very 80s mug can be personalised with any name, and it looks both retro and modern at the same time! 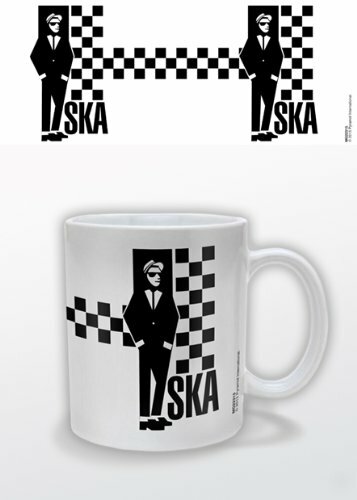 The design is printed on both sides. 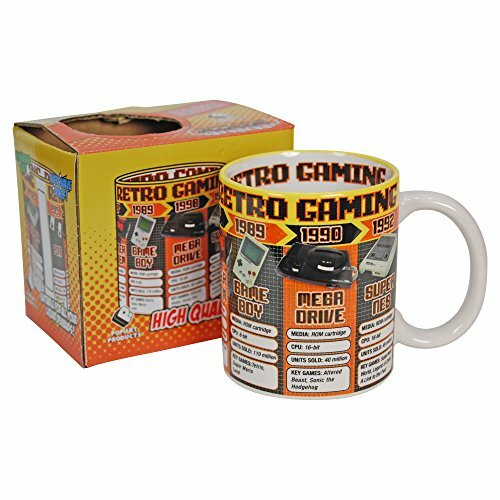 This mug is a must-have for anyone who remembers spending an age rewinding their cassette tapes or trying to untangle them from their Saisho car stereo!